Reference with AL termination means made in ALUMINUM and PP stands for POLYPROPYLENE. Fast connection system with flat seat and gasket. 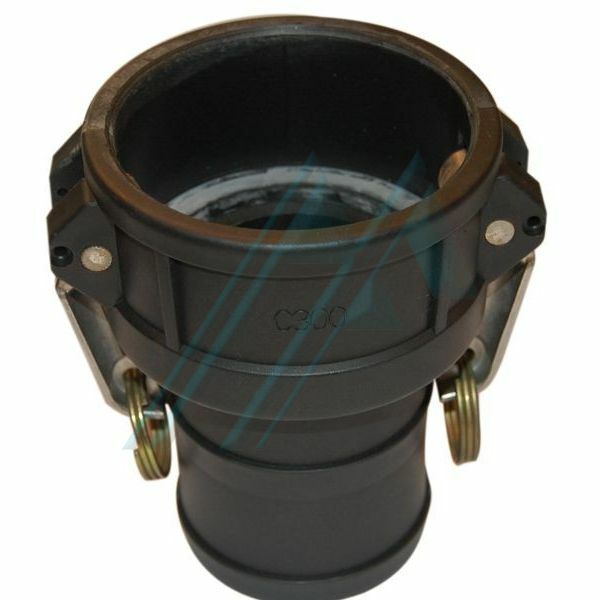 Suitable for hoses and tubes according to DIN 14420-7 (before 2828) and MIL - C27487 standards. Nominal pressure; ALUMINUM and POLYPROPYLENE 10 bar with NBR seal. Working temperature: -10 to +80. - Made in aluminum – AL. Available (upon request ) in stainless steel and bronze and in sizes up to 8”. 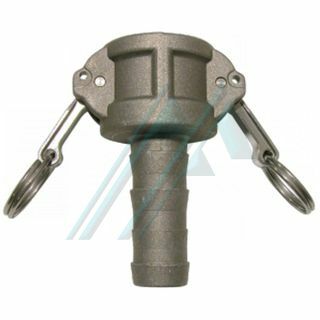 MAIN APPLICATIONS: Chemical industry, food, mining, water and compressed air. Wide range of fluids. Please ask about specific applications.